Caller and multi-instrumentalist (when he gets the time! ), and also calls freelance. Explains all the dances, calls them through if necessary and MCs the evening if you wish. Anglo concertina, guitar, bouzouki, harmonium. Fiddle, mandolin, and piano. Reduces the average age of the band by 12 years! The band plays for ceilidhs and barn dances all over the north of England , from Trawden, to Scarborough, Catterick to Newcastle, Leeds... and even Barnoldswick! Song spots and step clog dances are also available. mostly English or Scottish, suitable for beginners or advanced dancers, are FUN! are also mostly English, Scottish or American (just a few!) are LIVELY! 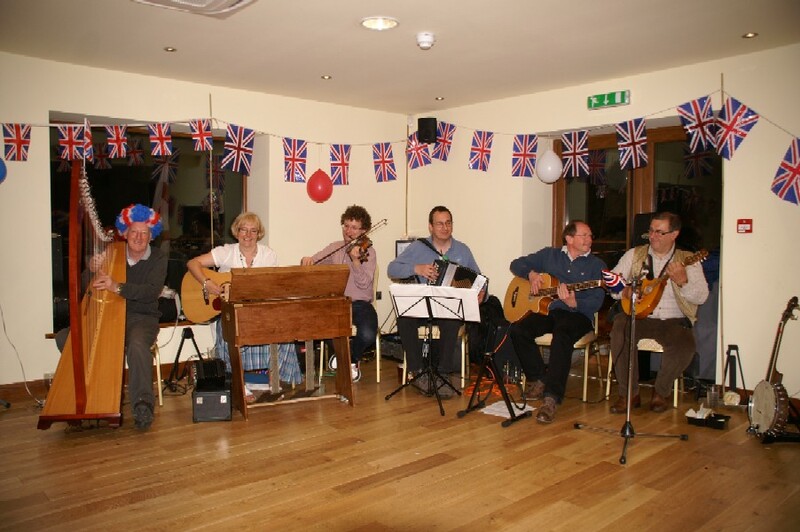 The band is affiliated to the EFDSS and consists of guitarist, melodeon player and anglo concertina player, with fiddler as well usually, and other instruments occasionally (bass, banjo, bouzouki, mandolin, harmonium, bodhran, whistles etc!). Fee negotiable depending on distance, time etc.